The SPCA’s Humane Education Department, established in 1883, offers programs and services for children and adults of all ages from preschoolers to seniors. Our goal is to help make our community kinder, so by incorporating the values of kindness, compassion, responsibility, and empathy into our programs, we can inspire individuals to answer the call to action. Haven’t you heard? Education is better with animals! Children can spend their breaks with us! Our SPCA camps offer the perfect destination for campers ages 6 through 14! We offer a whole lineup of animal camps throughout the year for students who are interested in learning about animals and animal careers. Campers will learn through engaging interactive activities and hands-on animal interactions while having fun and making new friends! Come learn about the SPCA, view our available animals looking for homes, visit our Educational Farm, take a trip down to our Wildlife Center, and witness the SPCA staff and volunteers in action! We are able to accommodate groups of 45 children and/or adults per tour. For more information, please contact Amy at the SPCA, 716-875-7360, ext. 224. Let the SPCA Serving Erie County come to you! Representatives of the SPCA can visit your business, organization, club, retirement home, etc. to teach participants about different animal-related topics. We offer several different presentation lengths, and can accommodate groups of all sizes. For more information on the topics we offer, please call Amy at the SPCA, 716-875-7360, ext. 224. Submissions and nomination letters must be received by the SPCA no later than FRIDAY, APRIL 5, 2019! To learn more about this contest, contact Danielle at daniellet@yourspca.org. Tale for Two is a “reading-to-animals” program for children ages 6 through 15, encouraging them to read aloud to adoptable shelter animals at the SPCA! Animals will benefit from the increased socialization and reduced stress levels, while children will work on their literacy and reading skills, building their self-esteem and confidence. Learn more about Tale for Two here! To learn more about registering a child, please send an email to HumaneEducation@yourspca.org . If you need more information on the program prior to registering a child, please contact SPCA Director of Humane Education Christine Davis at 716-875-7360, ext. 262. Due to overwhelming interest in this program, your call may not be immediately returned! For faster service, please email HumaneEducation@yourspca.org. Thank you! For Girl Scouts, Boy Scouts, Cub Scouts, and older scouts. The SPCA’s Scout Compassion Program consists of different levels. Troops are given the option of coming for a general tour or participating in our patch program. Tours are scheduled on Tuesday or Thursday evenings from 6:00 p.m. – 7:00 p.m. All patch program activities are done during troop meetings or at home, and each scout will receive a patch at the end of his or her visit. Girl Scout opportunities are listed below. To learn more about opportunities offered for other scouts, to schedule a tour, or if you’d like further information about our patch program, please contact Katherine at the SPCA: (716) 875-7360, ext. 234 or katherineg@yourspca.org. The SPCA relies on the generous support of our community. We receive hundreds of inquires annually about how troops, schools, groups, individuals, or agencies can help the SPCA. Forming your own animal club, completing service learning projects, or fundraising are all some ways that you can help. If you believe in the important message of humane education and are interested in sponsoring or supporting one of these programs, please call SPCA Director of Humane Education Christine Davis at 716-875-7360, ext. 262. 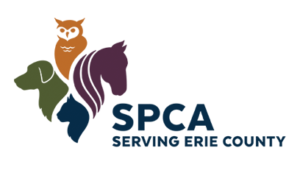 If you or your child are interested in holding a fundraiser to support the SPCA, please find more information and fundraising packets for children and adults here.